The music festival takes place in the Marsinne farm-castle. This farm with bulwark was built in the 13th century, it was a guarded outpost of the Moha castle for the Beaufort Lord. The main building is made up of two rooms. The first one (the old barn) is 150m² and that's where the bar is installed. The second room is 275m² and is a danse hall. 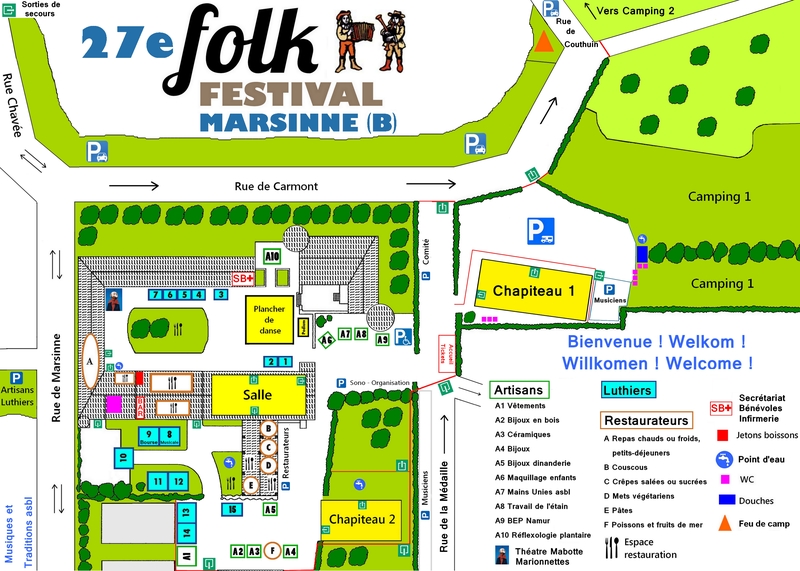 During the festival, two big marquees with a size of 375 m² are built (the first one on the camping-cars parking in front of the main entrance, the second one in the orchard). And the courtyard becomes the meeting place of the festival. The shed, that previously hosted one stage of the festival, has become a brewery. The brewed beer is sold at the festival bar. It's name is Léopold7.